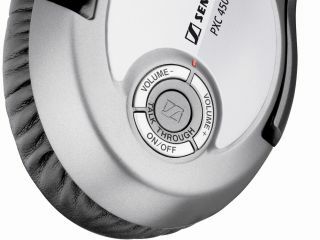 Sennheiser has launched its new PXC 450 NoiseGard 2.0 headphones. It's calling them the "best noise cancelling headphones in the world" and claims to have fixed the major flaws which similar products have been blighted by in the past. Built to deliver the highest quality sound possible, the PXC 450s enable travellers to privately enjoy their own music, wrapped in what Sennheiser is calling a "virtual cloak of silence", however noisy a train or plane might be. And since no sound leaks out either, you won't irritate people around you. Noise cancelling works by using a small microphone which is hidden on the headphones next to each ear. Circuitry attached to the microphones uses some clever physics to analyse the noises in the room and generates what could be described as an 'anti-noise sound wave' inside the headphones. Noise cancelling headphones are particularly effective at cancelling noises that stay on certain frequencies, such as jet engine whine and wind noise on aircraft. The anti-noise wave generated is basically a copy of the external noise but with reversed polarity; this results in what is called 'destructive interference' to cancel out certan ambient noises from within the earphone. This is an alternative hi-tech method to the noise isolation which some other products use. Noise isolation aims to block all external noise - something that can be dangerous if the headphones are used while crossing a busy road, for example. Problems faced by noise cancellation technology in the past have been that it requires battery power, and when batteries run out, some headphones stop functioning. But these new ones from Sennheiser continue to operate as normal headphones even when battery power has expired. The PXC 450s even have a 'TalkThrough' button - when pressed, the microphones in the headphones will enable you to clearly hear anyone who is talking to you, eliminating the need to repetitively take the phones off your head. The cleverness doesn't end there, either. The microphone has also been tuned to voice frequencies so you can hear people speaking clearly to you, without being overwhelmed by a sudden rush of other noises that can be picked up by less discerning microphones. It all sounds rather good, doesn't it? However, Sennheiser's PXC 450s don't come cheap. To claim a pair of your own you'll first have to hand over £299 - something some music listeners will be reluctant to do. This PXC 450's asking price stands in strong contrast to the £18.50 tag that has been slapped on Thanko's noise cancelling earphones . But we warned: in both cases you're likely to get what you pay for.